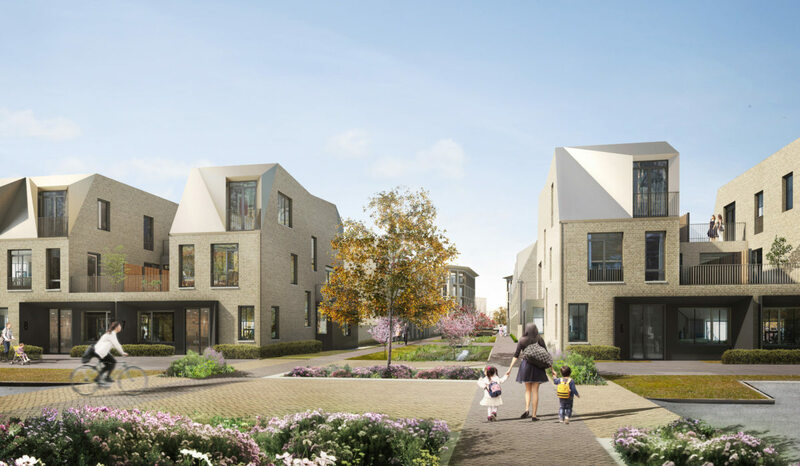 In 2014 Alison Brooks Architects with PTE won a two-stage competition to design 240 new homes with Hill, as part of Cambridge University’s exceptionally ambitious North West Cambridge Development. 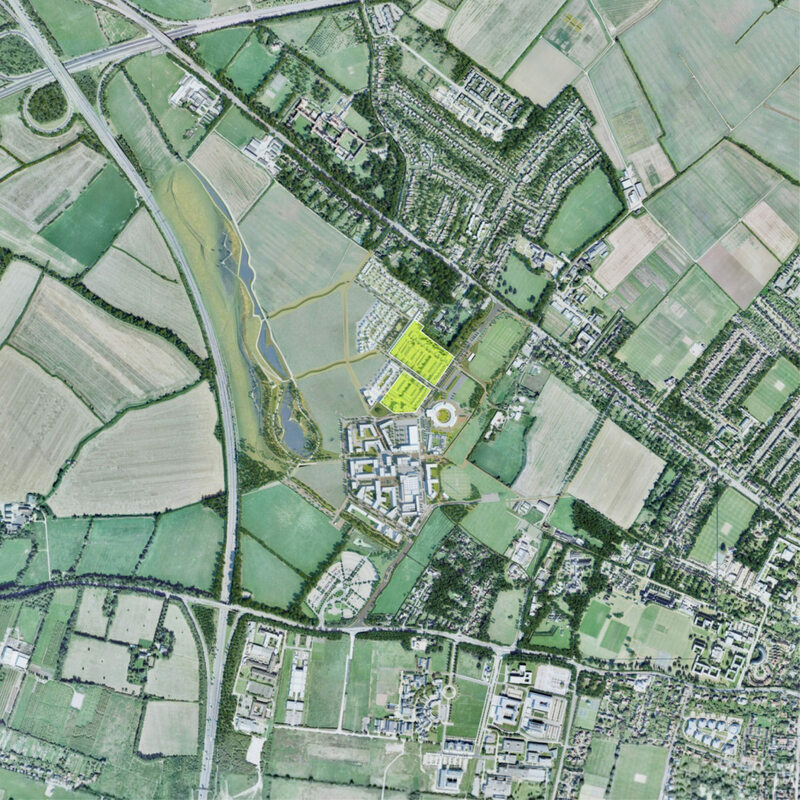 The 150 hectare urban extension masterplanned by Aecom includes university and market housing, a primary school, research space plus community facilities such as a nursery, a doctors’ surgery, community centre, supermarket and retail units, and open green space. 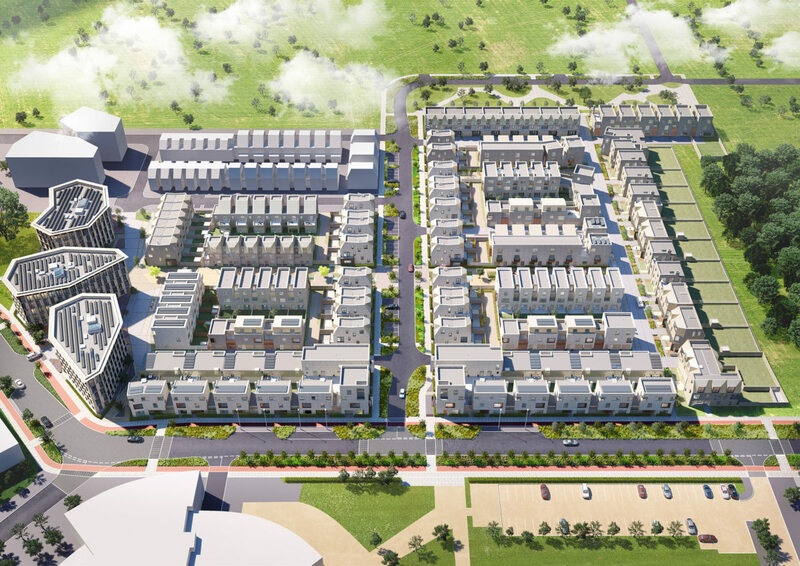 Within the 3.7 hectares of lots M1 & M2, ABA are designing 53 houses and 90 apartments. The ABA & PTE scheme forms the strategically important north eastern entrance to the development. 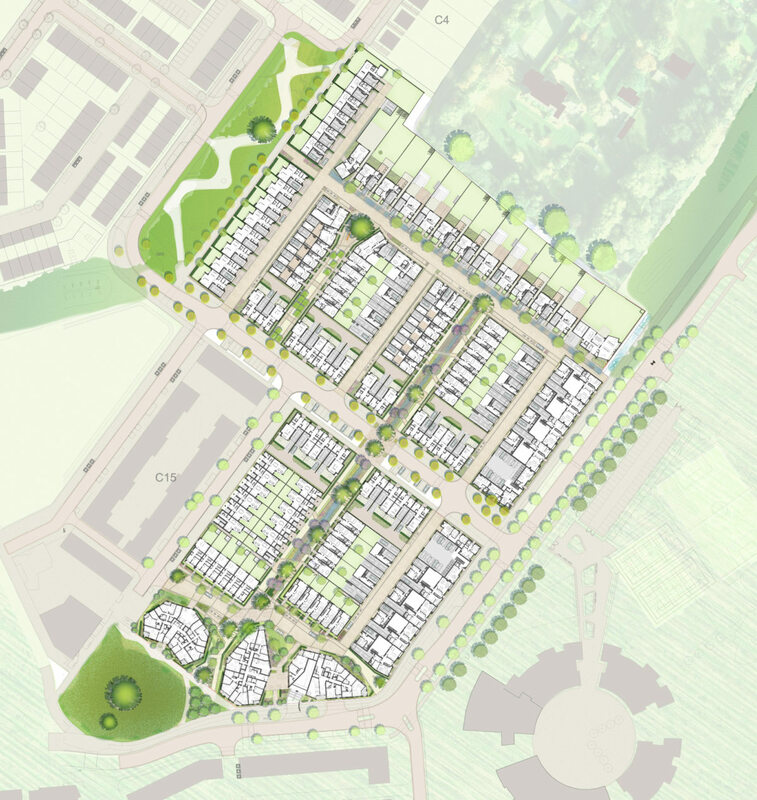 Our masterplan aims to create a neighbourhood with a fine urban grain, a diversity of streetscapes and variety of home types; these will combine to reinforce the development’s clear hierarchy of streets and network of landscape routes. 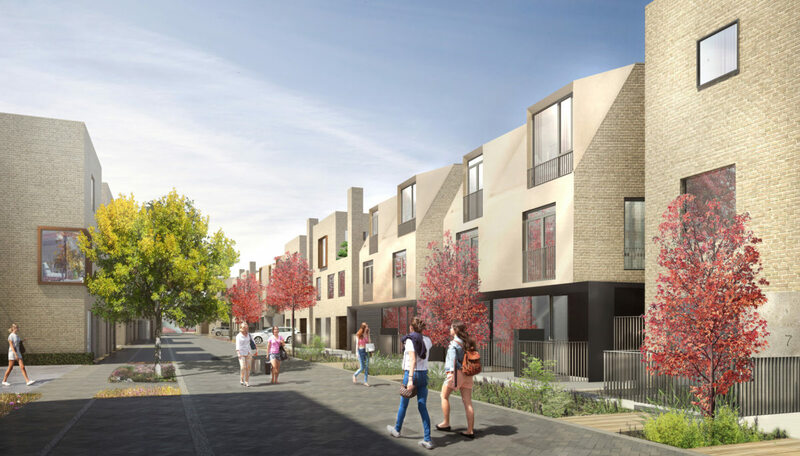 The layout also seeks to produce unexpected contrasts, from the generous public realm of Veteran Oak Gardens to the subtle distortion of the dense street network at Tree Place. 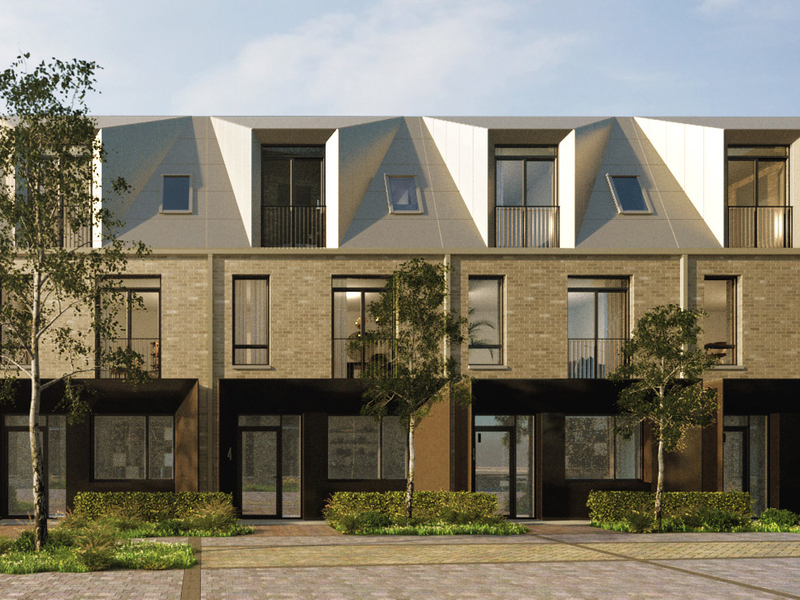 ABA’s typologies include terraced houses, courtyard houses, semi-detached and free-standing villas, as well as three distinctive ‘palazzo’ apartment blocks fronting Veteran Oak Gardens. The perimeter block has been re-conceived as three buildings forming a permeable urban edge. This strategy maximises prime frontages, generates a rich streetscape experience and offers a clear urban threshold to the neighbourhood beyond. 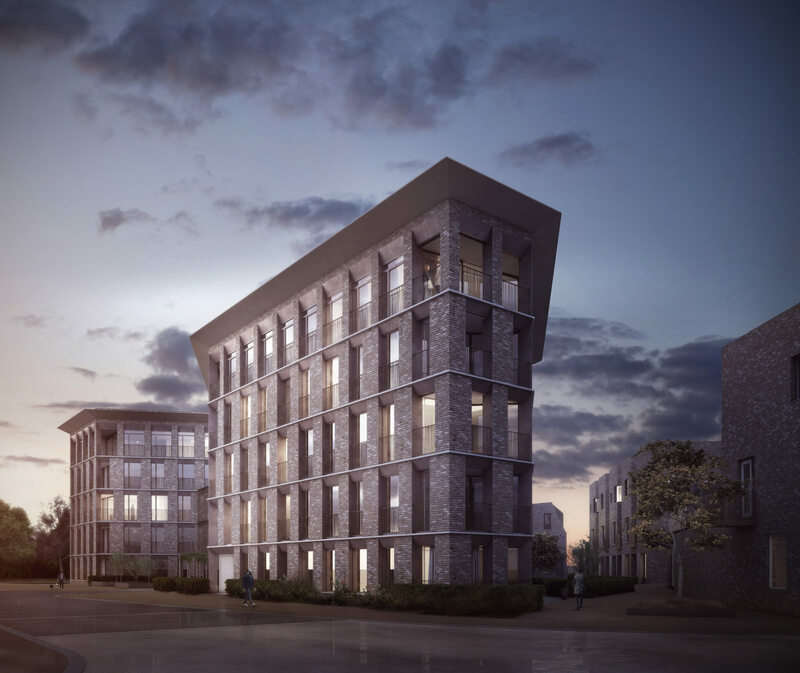 Clad in brick and leavened with a top floor ‘loggia’, these four and five storey buildings are animated by subtly shifting fenestration. The pattern creates an optical illusion of movement, a dynamic facade. The western apartment has its communal entrance opposite the Veteran Oak, a wonderful sight to encounter on the morning journey to work! 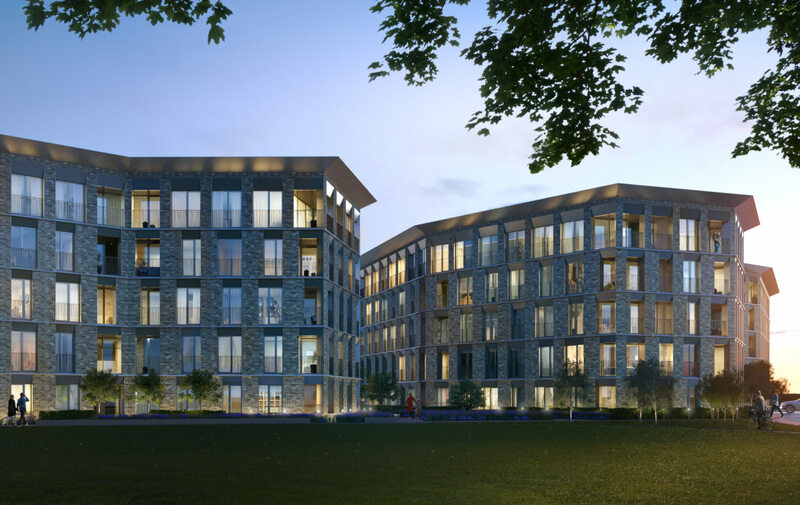 The three ‘Veteran Oak Apartments’ create a strong but permeable formal edge to the adjacent gardens, positioned to frame an inviting new pedestrian route to the Green Street beyond. 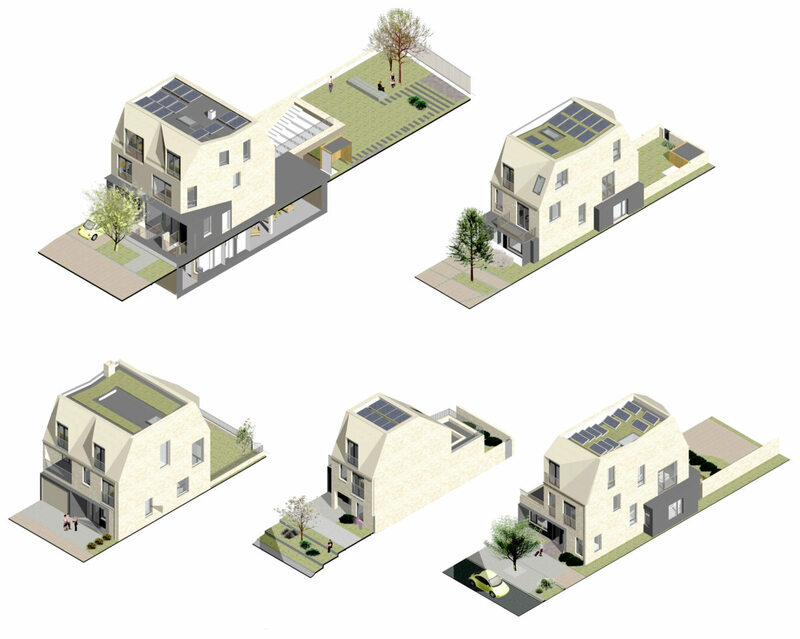 Their fan-like plan geometry embraces the adjacent oak tree, while maximising frontage for dual-aspect units. The coherent grouping of subtly faceted geometries is further strengthened by the two-storey inhabited bridge. In the spirit of the Bridge of Sighs, this surprising element reinforces the primary street frontage, marks a covered entrance to the apartments and creates a hanging garden or roof terrace for second floor apartments. 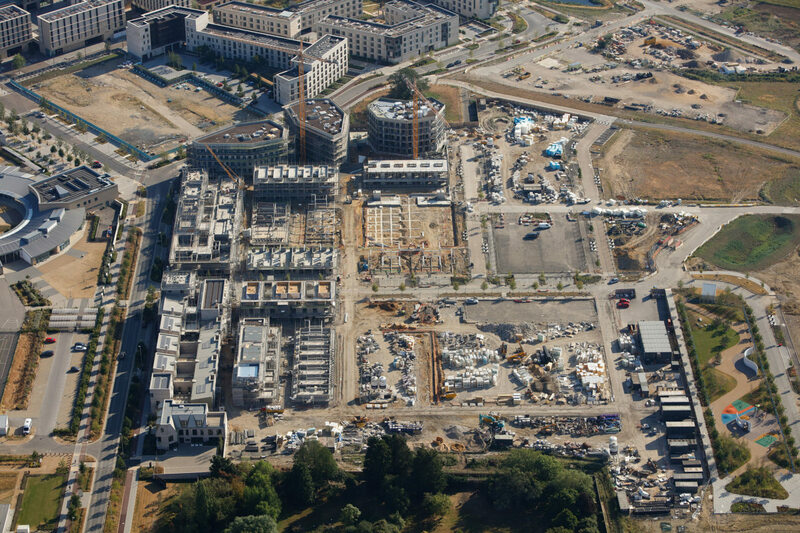 A generous 130-space underground car park allows for the creation of two new pedestrian Green Streets, which will form part of a continuous landscape narrative, leading from the Local Centre to the Veteran Oak Gardens, and then onto the new Neighbourhood Park. 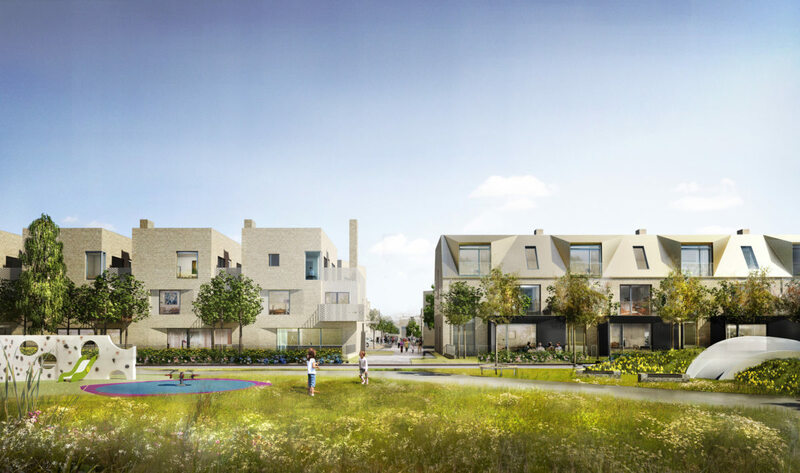 Families will be able to walk their children along car free streets to the new school, and the home zones offer an opportunity for informal play and community interaction within a quiet, safe and green environment.